Promotional video for Alphagraphics - Watch the hand blending of inks. Alphagraphics are NI’s leading supplier of printing and signage consumables. They were undertaking a complete redesign of their website and a strong visual part of the new site was a company promotional video. 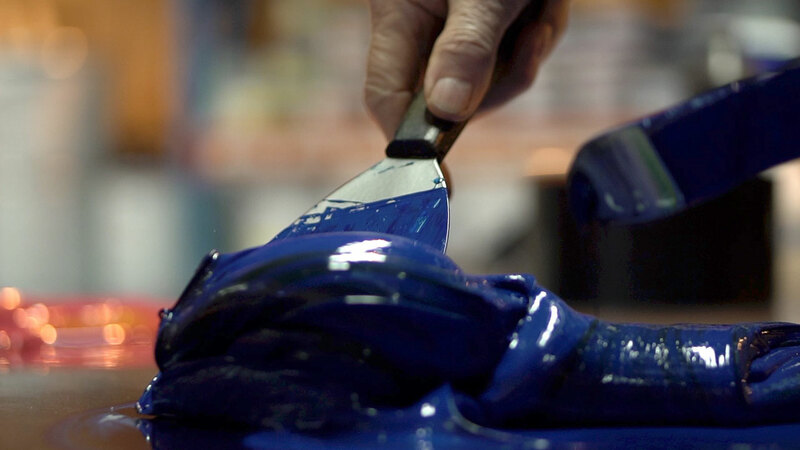 After filming with Alphagraphics and witnessing the beautiful process of hand blending inks, Filmsbyben edited and delivered an informative and cinematic video that reflected the quality of Alphagraphic’s overall business. "Ben and the team really impressed us with how they shot and produced our company video. They were able to pick out images and sequences from our operation that we wouldn’t have thought of and that added an extra dimension to the end result."